Lucid dreaming is an elusive state in which a dreamer is able to control his or her dream – to effectively direct the dream world. Plenty of people have speculated on how to make it happen, and even more have claimed to be able to teach others how to do it. But never before (that we know of) has a device been invented especially to guide sleepers to lucid dreams. 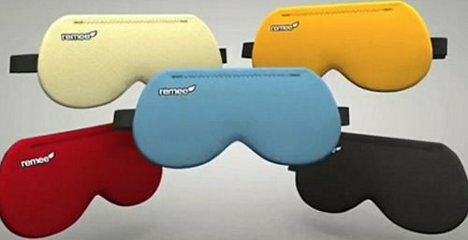 The Remee Lucid Dreaming Mask does exactly that, turning nighttime into your own personal infinite playground. 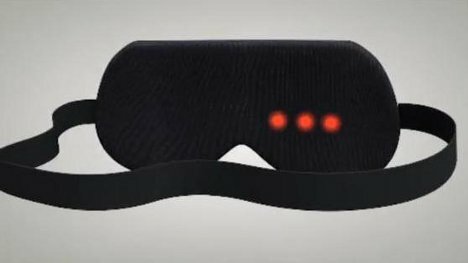 The mask has six embedded red LEDs – three over each eye – that flash a pre-set pattern once you enter REM sleep. REM (or rapid eye movement) sleep is where dreams usually happen. By flashing a familiar pattern of light that can be detected through the eyelids, the mask signals to the dreamer that he or she is dreaming. This sudden revelation allows the dreamer to take control of the dream. The lights are not bright enough to disrupt sleep, but are just bright enough to be seen through the eyelids. Different settings allow for nighttime or naptime lucid dreaming. 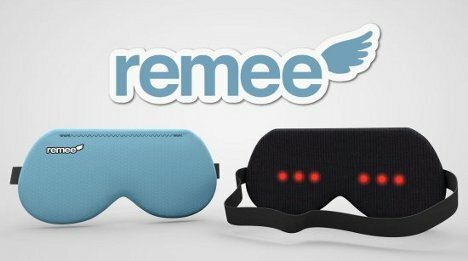 The Remee was listed on Kickstarter and raised a ridiculous 1,636% of its requested funding, so it shouldn’t be long before the whole world is controlling dreams and having an active sleep life. See more in Home & Personal or under Gadgets. June, 2012.